It is neither a new computer game, nor a novelist - but most certainly the tightest live formation that Jazz & Milk has to offer to date! 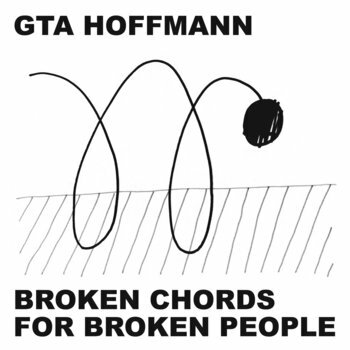 GTA Hoffmann sips out of your ear, sways your hips and bypasses the vessels of your awareness, 120 times per minute. Three musicians, experienced in diverse and manifold musical areas, play their own and unique creation of live dance music. Beni Brachtel, aka Bartellow (guitar), Lukas Rabe (keys) and Gabriel Hahn (drums) operate their instruments as armatures of turning knobs, sliders and effect pedals and pave their way through earthy R'n'B grooves, wooden house and analogue elevator-minimalism. As improvisers and composers they love to play with shapes, moods and all types of sounds. The result is pure energy, which inspires deep listening, immersion and dancing. What appears to be an artificially produced electronica record is in fact the live sound of a trio, which levitates through space and time - far away from any musical categorization - while sonically complementing and reorganizing earthly pulse.